Sorry hit submit before editing and completing the message. I have a friend with a 7,500 pound Volvo excavator. I am going to try to help him find the reason it is running hot. Has been since he bought it used. It first showed up when driving the machine from one location to another. Not just normal moving in digging. Yesterday his son said it does it when running the machine hard digging also. Dad does not run at full rpm for such but son does. Really believe the issue is with the hyd system. The engine and it's cooling has been checked carefully with the easy such as replacing radiator cap, full radiator washing and cooling system flush. When he bought the machine it was suppose to have had the hyd oil and filter changed and it is right on full level. They have been told by someone need to install hyd oil cooler in addition to factory's. First not a hyd system mechanic. What in the hyd system could cause it to run hot? The quick thought to me is pressure is running to high for some reason. Stuck valve or restriction in the system. Of course could be lack of sufficient cooling from the factory. Any idea what would be consider a normal temp for such as hyd sytem and what would be considered an above normal temp? Hydraulic systems are considered to be overheated (danger zone) when the temperature reaches 180 degrees F. It's running hot if the temperature exceeds 145 degrees. My guess would be a dirty oil cooler, located somewhere in the return line going back to the reservoir. Many times these oil coolers are found stacked in front or behind the engine's coolant radiator, however, they can be found anywhere in the return line. Bobcat skidsteer tractors have an optional heat exchanger for use with implements that require high fluid demands, such as brush cutters, etc. Bobcat mounts this optional cooler on the roof of the cab and it includes two electric fans to help move air through the heat exchanger.......with the goal of keeping the hydraulic oil cooler. A secondary heat exchanger may be necessary on the excavator, but I'm thinking that he may have a restrictor installed in the system somewhere. It could even be as simple as having a bent or kinked return line. 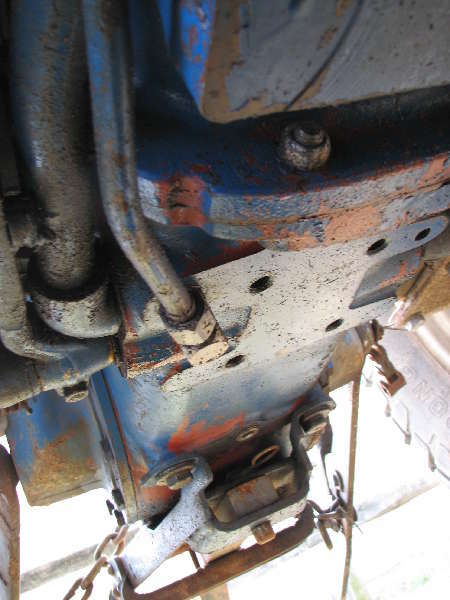 Restrictors slow the flow of oil, to allow for better control over the boom and bucket curl controls. Some guys install these on the dedicated machines they use for digging around or near buried power lines, or fiber optic cables. However, restricting the flow of hydraulic oil generates tons of harmful heat build-up. Test the flow output with a flow meter. This will tell you if there's a restrictor orifice installed, or possibly a damaged (crushed) return line. If the output and return flows are equal, a secondary heat exchanger may be necessary. I know the fins of the hyd oil cooler is clean. It any issue with it would be inside of it and doubt that. Is a restrictor a fitting or such installed in a line you can spot? I fell like there is a restriction somewhere in the system but it is running hot at all weather temps, just got that verified, and it is doing so with driving or running digging system at full rpms. Unfortunately, finding a restrictor fitting isn't an easy task. It looks just like any other hydraulic fitting. The difference being that there's a tiny hole inside the fitting, restricting flow to either the entire hydraulic system, or only parts of it. It would be fairly easy to tell if a restrictor is installed somewhere in the system. Likely the drive system will function at full speed, as will the blade (if equipped). Most guys install a restrictor fitting in the boom control lines, allowing for very slow and precise operation when digging around sensitive areas. If the boom functions seem very slow when compared to the speed of the blade or drive system, you'll likely have your answer. A little history of this machine would be very beneficial. Some contractors build a dedicated machine to have available for sensitive work areas. This one may have been modified at some point in the past, just for such purposes. As I was out trimming the hedges today, I had some time to ponder over your friend's situation. It's possible that the excavator's hydraulic pressure relief valve may have been adjusted, causing the system to go into bypass. Fluid flowing through a pressure bypass valve will also generate a tremendous amount of heat. Joel thanks for all your help. Got stumped Saturday, we failed to get it to start. It has an electric fuel pump and it would not run. His nephew a small engine mechanic said it started right up last week for him. Will let you know what we find, when/if we do.